Within the expanse of the multiverse there is Great Light! Indeed, All is Light and it has always been Light! Light can be said to be a Frequency, and all manner of expression within the multiverse is created from it. You, are Light; Your thoughts, are Light; You, in form, are frequency; Your thoughts, are frequency; It has always been so. As you consider this information, see yourself as a crystalline light structure/ frequency, having an experience in individuated form. Every living thing holds a crystalline light structure: the living body, whether human, animal, fish or fowl; the living trees, plants and flowers; the mountains made of stone and crystal; Indeed, all things carry energy in this fashion, as all things represent the infinite realm of Light, and therefore Frequency, and therefore Energy. 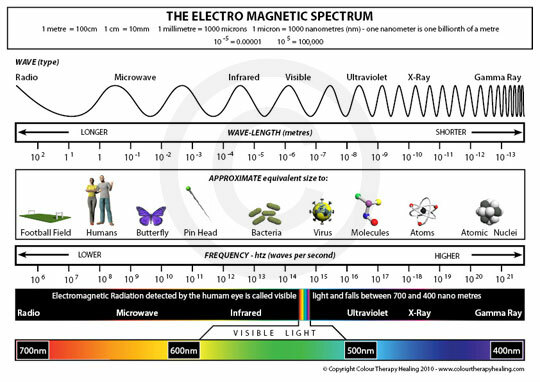 The electromagnetic spectrum of the visible and scientifically observed reality of incarnated humans is just a tiny low-frequency fraction of the infinite spectrum of divine Source Energy. We say further that your form is connected on an energetic level with All of space and All Light! Know that your frequency, or the vibratory rate of the quantum particles that make “you” up, dictates how much you understand these intricate connections to multiple platforms of expression. While in individuated form, complex interconnections exist between every layer of light, every frequency of expression, and these connections follow a highly organized flow whereby the awareness of the individuated expression grows in consciousness as new connections are made to further expanded fields of Light. Thus consciousness grows through leaps and bounds via increasingly complex and highly organized energy. This is the foundation of the multiverse, of All-That-Is! No one and No thing is exempt from this highly intricate creation! You are a part of the Whole! This is Unity Consciousness.